The 420 might get Musk in trouble. We thought it was coming, but now the moment is finally here: The Securities and Exchange Commission (SEC) has officially subpoenaed Elon Musk and other members on Tesla’s board of directors. Last week, Musk tweeted that he had secured funding to take Tesla private (whether or not he does has been the subject of some debate since). And crucially, he also specified the price at which that would happen — $420 a share. 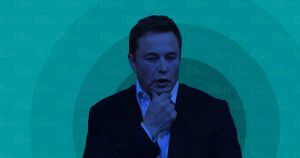 This, as it turns out, might be more than just a bad weed joke — some have speculated that ol’ Muskie had planned to drive up the price of Tesla stock. Because, after all, that’s exactly what happened, at least until (and after) the stocks were frozen. Well, if that was Musk’s plan, it wasn’t a very good one, because that would be fraud. And it may not work out for him in the long run. As Fox Business reports, it seems the federal government has opened a formal investigation into the company to learn whether or not Musk’s tweets broke the law. The day after Musk’s tweets, the SEC was already rumored to have made initial inquiries into the company and its CEO. This subpoena does not inherently mean that any wrongdoing has occurred, merely that the SEC suspects that it may have. And if Tesla board members were as blindsided by Musk’s announcement as The New York Times reports (board to Elon: stop. tweeting), there may be something to investigate, after all.